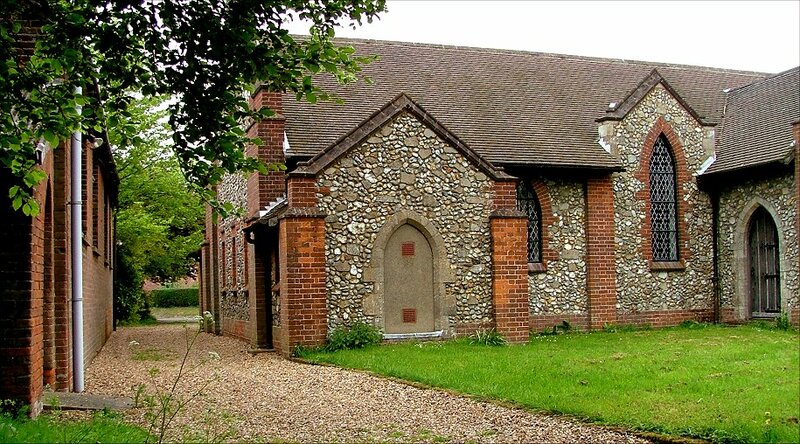 This pleasant flint and brick building sits on a tight site near the junction of three roads at the centre of its pretty village. 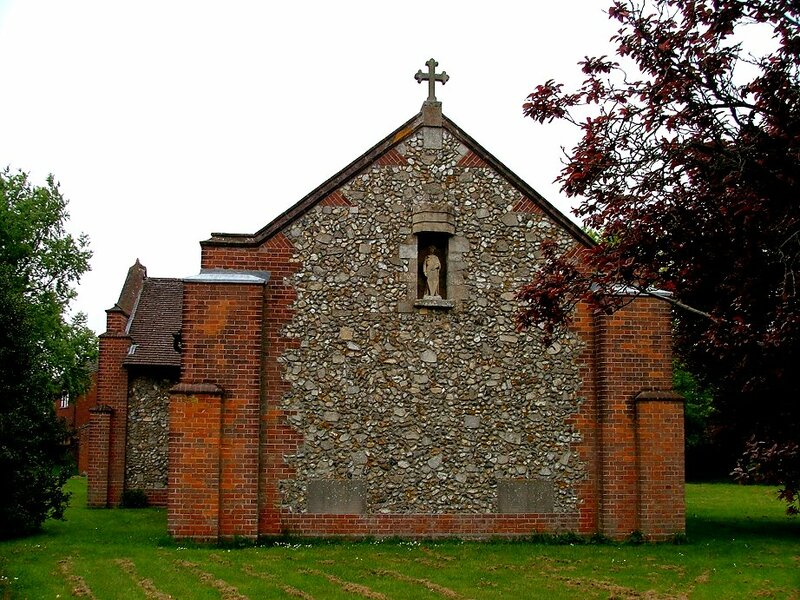 It was built in the 1930s, and has a flavour of that period, particularly the brick buttressing, but also of the late 19th century, with the lancet windows popular at the time. This seems an odd combination, but there may be a good reason for it. 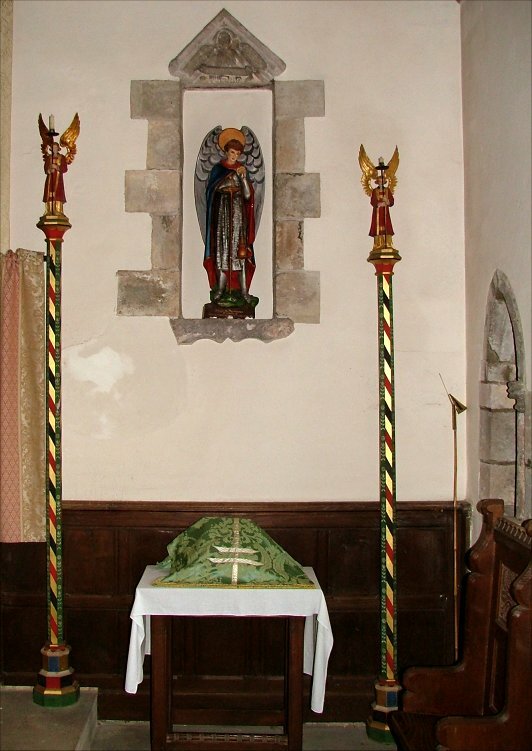 St George was built to replace the old church, which stood away from the village. 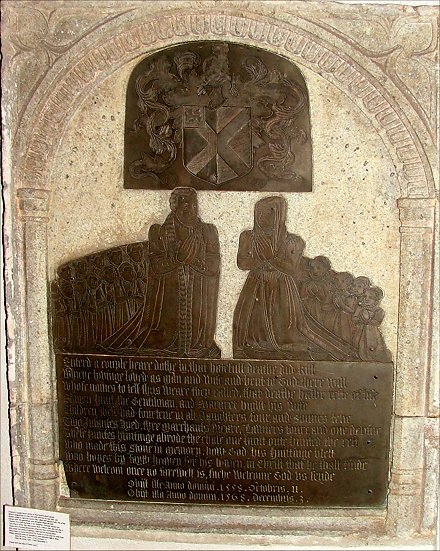 This also happened in several nearby parishes, including Fulmodeston and Edgefield, but there was a better reason for it here than most places, because the old church was destroyed when the tower collapsed on a still August afternoon in 1892. 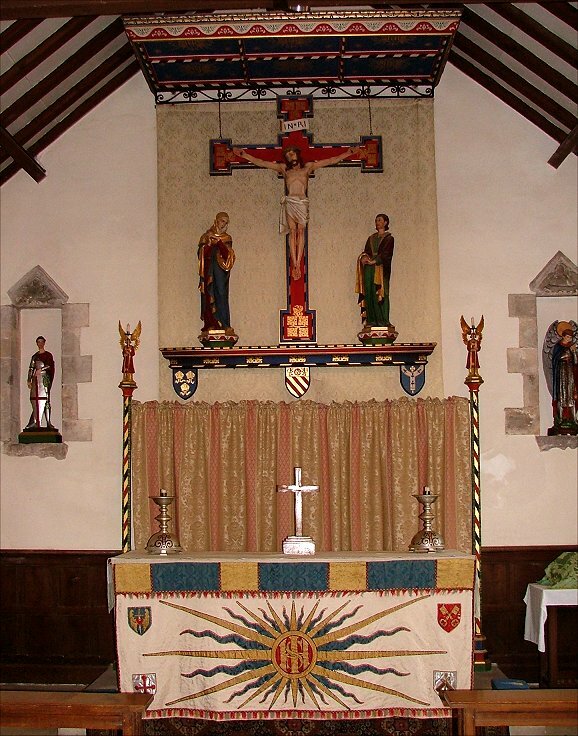 For a few years, the congregation continued to use the chancel, and then a temporary mission room on the site of the current St George, until this new church was built. 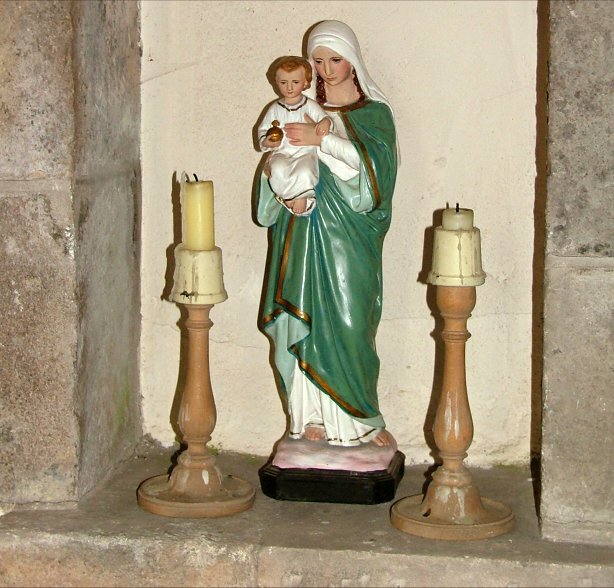 New St George opened in 1932, the work of local builder Jonathan Beckett. 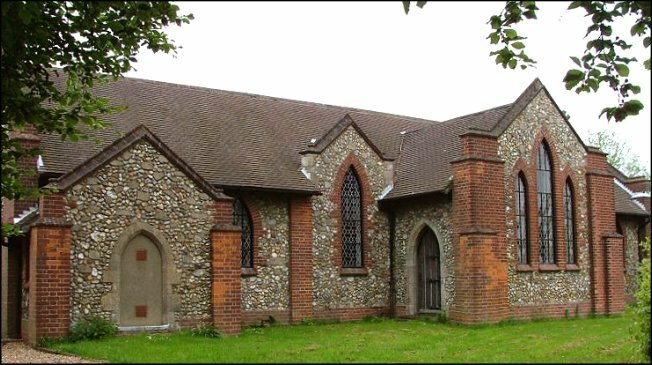 But Richard Butler-Stoney's leaflet says that the architect was Herbert Green; this is odd, because Green was Diocesan architect at the turn of the century. 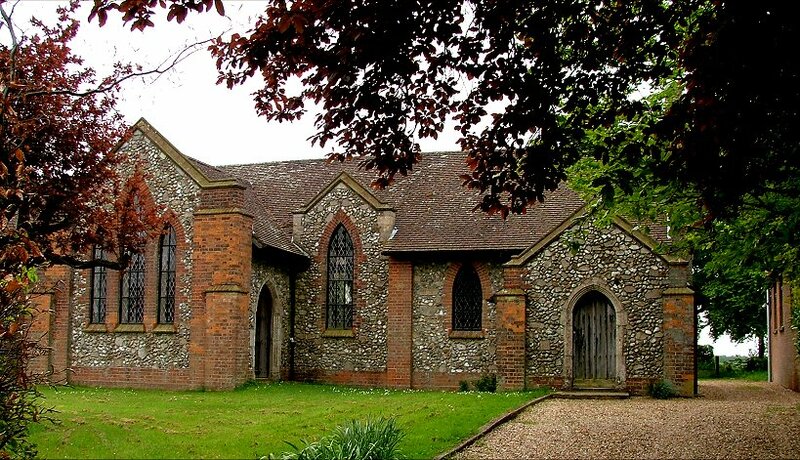 It may well be that the plans were prepared soon after the collapse of the old church, and they were adapted when the new St George was built some forty years later. This would explain the odd mixture of styles. 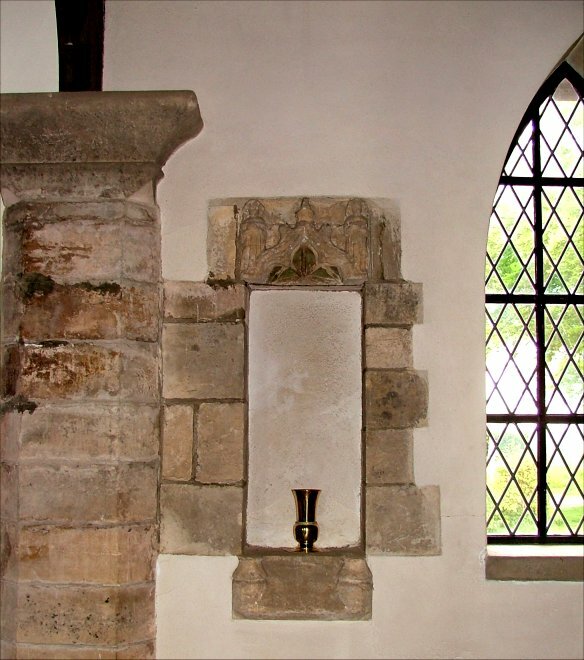 You enter from the north side into a narthex area which leads into the body of the church in the north and south corners. 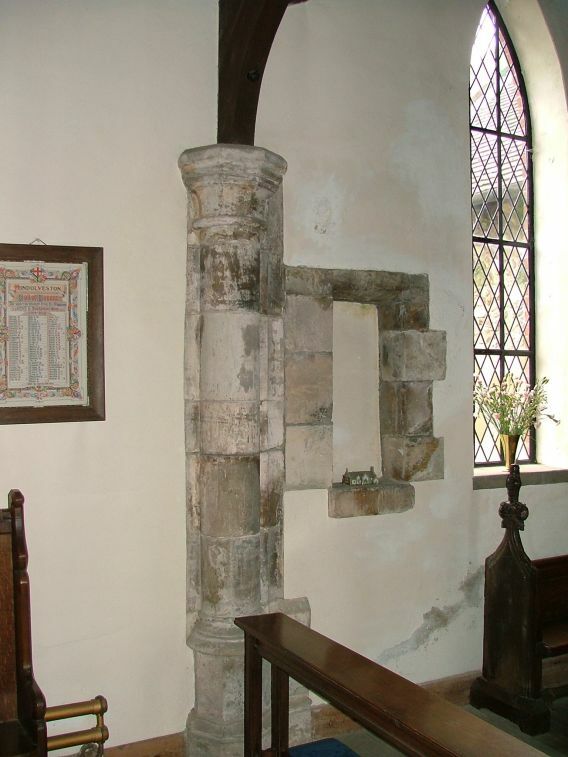 The matching porch on the south side has a blind entrance - was a tower intended here? You step through into a warm, quiet, dim space. 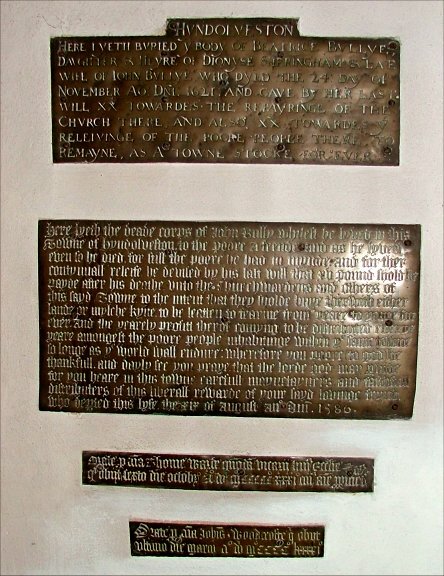 Many of the features of the old church were hauled up the road to the new one, including several brass inscriptions and a fine figure brass for Edward and Margaret Hunt and their 14 children. 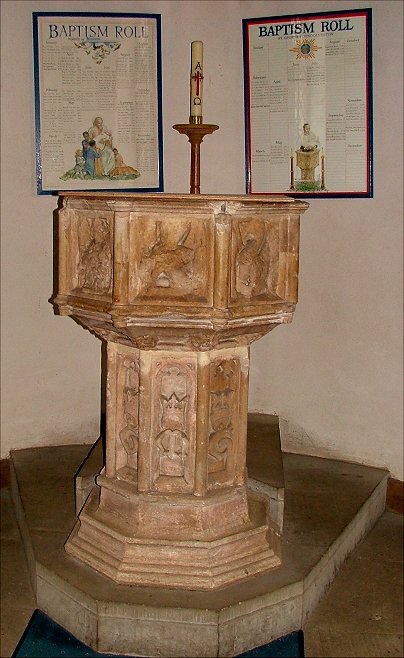 The old font is also here; its panels are vandalised and not recut, but clearly show the Crucifixion, Instruments of the Passion and a Holy Trinity symbol. 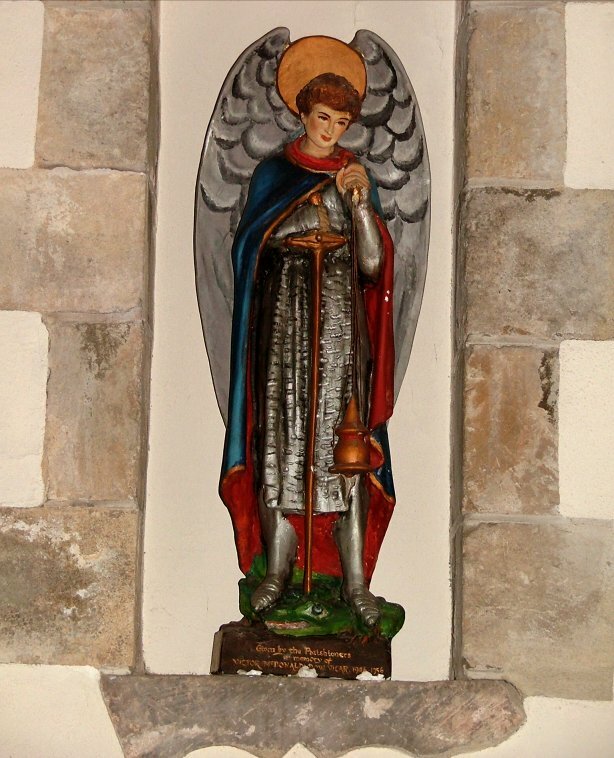 There are also a number of image niches, and these are used to good effect because St George is very much in the Anglo-catholic tradition, with a great rood and statues of St George, St Michael and the Blessed Virgin. 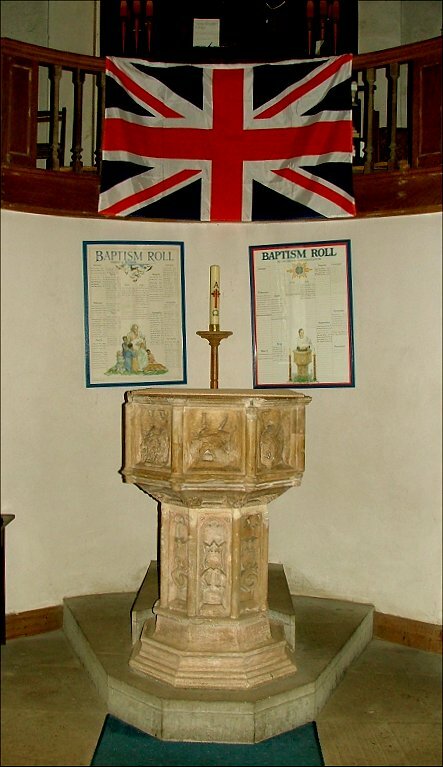 The only slightly jarring note is a large union flag hanging above the font, an odd thing to find in an Anglican church. Perhaps there is some local reason for it. 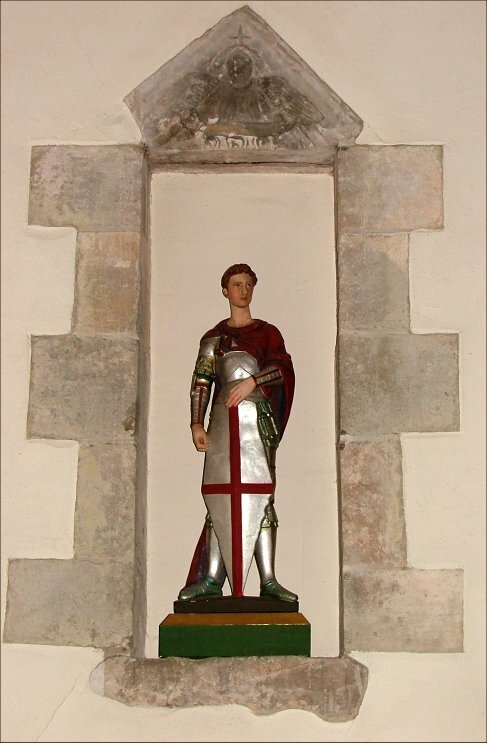 I liked St George a lot. 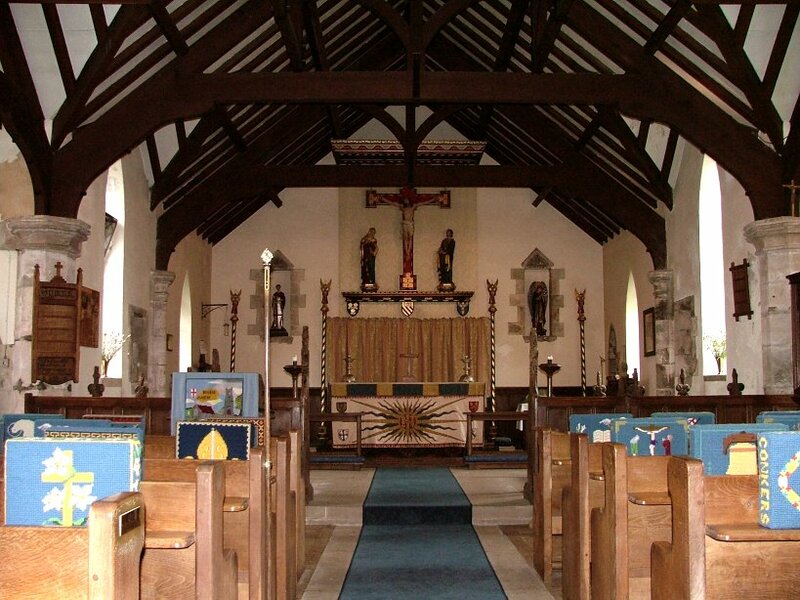 Its age and tradition reminded me very much of south coast churches in busy suburbs that I knew when I lived in Brighton. 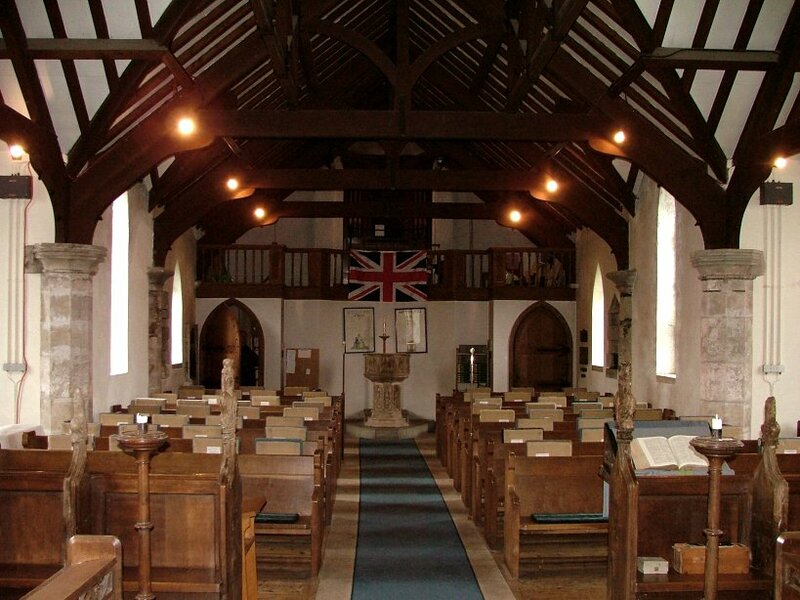 It seemed refreshing to find the same thing in a remote Norfolk village; and there is a confidence and seriousness about such places, which give it a sense of permanence, somehow.